Born in the small town of Trumann, AR in 1928, Ben’s father died when he was 10. Midway through the 11th grade, Ben entered Arkansas State College and then transferred to the Univ of Miss. At age 17, he enlisted in the Army in Jan 1946. He was promoted to Sgt First Class at age 19. He was the enlisted honor graduate of his airborne class. He returned to Ole Miss and in 1951 was called to active duty as a military personnel psychologist. 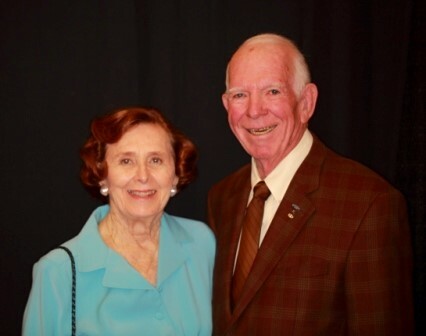 In Sept 1951 he married Carolyn Algee, his college sweetheart. In 1952, at his request, he returned to the infantry and was assigned to the 325th Airborne Inf Regt, 82nd Abn Div. In the 82nd, he was aide de camp to Brig Gen A. S. Newman and later served Gen Newman at the Inf School and in Germany. Major General Harrison retired from the US Army after 28 years of commissioned service as an infantryman, aviator and educator. For three years, he was the academic and administrative head of the Command and General Staff College. One of his lasting contributions at the College was to consolidate all Training and Doctrine Command constructive simulations and create a family of battle simulations from platoon through corps level. Harrison’s assignment at the time of his retirement was commander of the Soldier Support Center and Fort Ben Harrison, Indiana. In this position he directed studies on unit cohesion and decentralization of personnel management that have had a major impact on today’s personnel policies and replacement system. Just prior to his assignment at Fort Harrison, he directed the one year Review of Education and Training of Officers (RETO) that created the Combined Arms and Services Staff School (CAS3) and the system of Military Qualifications Standards (MQS) and placed Branch Proponency with the Commandants of the Branch Schools. From Aug 1976 to Aug 1977, Harrison was the Deputy Commanding General of the Aviation Center and Ft Rucker. Harrison commanded the 3d Brigade, 101st Abn Div, in 1970 during the last major US ground battle of the Vietnam War. This battle has been documented by Keith Nolan in his superb book, RIPCORD Screaming Eagles Under Siege Vietnam 1970. After command of the 3rd Brigade, 101st Airborne Division, he was the Senior Advisor to the Commanding General of the 1st Infantry Division, ARVN, during Lam Son 719 operations into Laos. In two tours he flew 1842 combat hours and was the only officer in Vietnam to command a combat aviation battalion for 12 months. He graduated from flight school in 1958 at the top of his class and was also first in his class at instrument school. As a major, Harrison taught a wide range of tactical subjects at the Command and General Staff College. He was the chief evaluator of all Air Cavalry and Mohawk units during the pivotal air mobility tests of the 11th Air Assault Division (Test) in the mid 1960’s. In 1971-73, Harrison directed the TRICAP testing at Ft Hood which resulted in the demise of the TRICAP Division and the formation of the 6th Cavalry Brigade (Air Combat). In 1982, the TRADOC commander asked Harrison, then retired, to be the senior aviator of a group of four officers tasked to review Army Aviation. This four-month study effort resulted in the creation of Aviation as a separate combat arms branch and the centralization of all aviation doctrine, materiel and training development at Fort Rucker. As a junior officer, Harrison served in the 82d Airborne Division, the 5th Infantry Division in Germany, commanded a rifle company, taught operations at the Infantry School and commanded the Aviation Detachment in the 2d Infantry Battalion Combat Team in Iceland. After his early retirement from the Army, Harrison was president of a holding company with three small manufacturing plants and varied real estate properties while concurrently doing consulting work in the defense industry and leadership development. He was a certified trainer and adjunct staff member of the Center for Creative Leadership from 1980 until full retirement in 1997. He conducted 38 training programs for the CIA in the 1980’s. He resigned his position as president of the T-Vest Corporation in 1982 to do the Army Aviation Branch study. After1982, he worked as an independent consultant. Harrison conducted comprehensive weapon systems manufacturing feasibility studies for Martin Marietta Aerospace and the Hughes Helicopter Company. He specialized in joint and combined arms operations, aviation, training simulation and executive leadership and management training. He became a consultant to the Defense Advanced Research Projects Agency Program Manager for SIMNET in 1985 and continued work with Distributed Interactive Virtual Simulation as an adjunct staff member of the Institute for Defense Analyses. Keith Nolan’s book RIPCORD, published in 2000, did not provide much detail of the North Vietnamese Army side of the Firebase Ripcord battle. Harrison gathered official Peoples Army of Vietnam books and publications, had them translated and made trips to Vietnam in 2001 and 2004 interviewing seven former enemy officers including Maj Gen Doi who commanded the division surrounding Ripcord from May until July 23, 1970. Harrison’s book, Hell On A Hill Top, details a much larger North Vietnamese Army operation against Ripcord than had previously been known. The book was published by iUniverse, Inc. in Nov 2004. Distinguished Service Medal, two awards of the Silver Star, two awards of the Distinguished Flying Cross, two awards of the Legion of Merit, the Soldiers Medal, forty awards of the Air Medal and numerous other US and foreign decorations. 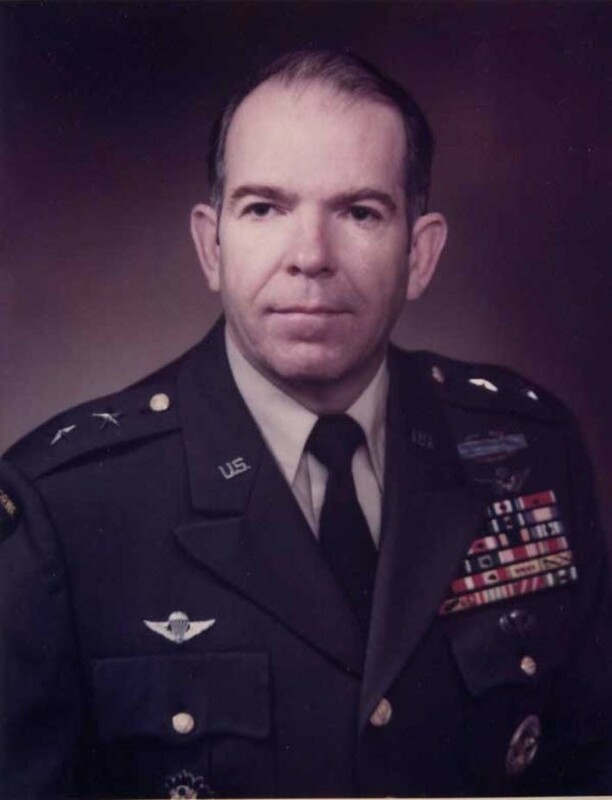 Member of the US Army Aviation Hall of Fame, the University of Mississippi Army ROTC Hall of Fame and Honorary Colonel of the Third Aviation Regiment. Harrison has been listed in Who’s Who in America since 1981. He was National President of the Army Aviation Association of America 1993-95. Harrison currently is President of the Army Aviation Museum Foundation and Chairman of the Board of Trustees of the Army Aviation Hall of Fame. Served in Germany, Iceland, Hawaii and Vietnam. Traveled in 69 countries.